Thinking of giving your old kitchen a 21st century face-lift? Dreaming of restoring your older home to its original, vibrant charm? 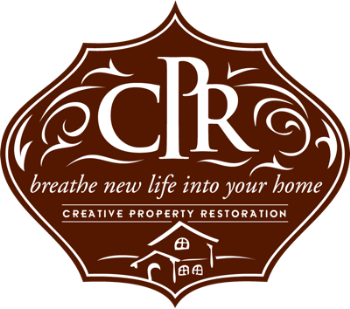 From small repairs to interior remodeling to renovation that’s true to the heart of your home, C.P.R. transforms your living space. We work with the highest quality materials designed to last the life of your house, which is why we use the Hardiplank® system from James Hardie. It’s resistant to rot, decay and termites, and it holds paint far better than wood. We’re on the leading edge of the latest advances in the remodeling industry and build to your area’s current building codes and regulations. Best of all, we work with your vision and your budget. Before the work begins, we let you know exactly what we can and cannot do. We show you our ideas while respecting yours, and we communicate with you throughout the project. And most importantly, we make sure there are no surprises except one: how great your home looks once we’re done! Design/build is a concept developed to benefit the remodeling homeowner by providing both quality design and construction services within the same general-contracting company. A design/build contractor will be able to see your project through from start to finish, keeping design, engineering and budget in mind. As a design/build firm, we have our own design specialists on staff. We use a 3-dimensional design software that will enable you to virtually walk through your remodeling project before we proceed with construction. With the 3D technology, you will get a feel for every room so you are not surprised by what the project looks like at the end. We ensure that any disruptions to your lifestyle are kept to a minimum. Our job site is kept as clean and uncluttered as possible throughout the project. Because we respect your property, we carry special insurance policies that cover any unforeseen accidents during the duration of the project. Our workers and construction vehicles are also insured. CPR belongs to remodeling specific industry associations such as NARI (National Association Remodeling Industry) and NAHBR (National Association Home Builders Remodelers) to enhance the quality of what we do every day. We participate in programs that offer cutting-edge techniques and processes, and we keep up to date on regulations and building codes. Homeowners, are you aware that as of 4/22/10 all construction companies/contractors who work on houses built before 1978 must be registered with the EPA and have a Lead Certified staff person on each project. Make sure you are working with a Lead Safe Company!